Paula does amazing work. She is very friendly and knowledgeable. I would recommend her for any of your building or remodeling needs. 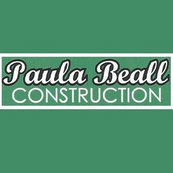 First, Paula was my realtor. She was excellent at reading us and finding the perfect home for us.